I joined an online writing group. The organizer gave a few writing prompts. Elizabeth Craig and Mike Fleming have come up with The Writer's Knowledge Base (WKB). This is a searchable collection of articles that are highly relevant to writers. The articles are diverse and cover such topics as the craft of writing, getting published, promotion, etc. One of the problems of trying to find industry-related information on your own in a lack of searchable database. Unless you go to an individual agent or editor blog and search on each of their sites, you’re going to get very spotty results on a Google search. The WKB carries out Google-like searches against Elizabeth's hand-picked articles on writing. Because of this, all of the results are on topic and much more likely to be relevant to exactly what you're looking for. It is better than Google at finding writing resources, since it presents you with random articles from the thousands of links in the repository, allowing you to find interesting articles "by accident." You can find The Writer's Knowledge Base (WKB) at http://hiveword.com/wkb. 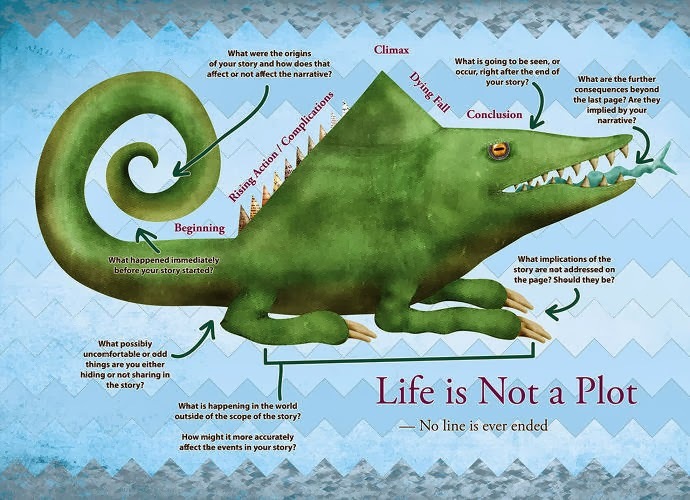 Recently Fast Create profiled the new book by Jeff VanderMeer Wonderbook: The Illustrated Guide to Creating Imaginative Fiction . The book is billed as an all-new definitive guide to writing imaginative fiction and takes a completely novel approach, fully exploiting the visual nature of fantasy through original drawings, maps, renderings, and exercises to create a spectacularly beautiful and inspiring object. Fast Create highlighted 8 tips from top storytellers like George R.R. Martin, Junot Diaz, Lev Grossman, Neil Gaiman, Michael Moorcock, Catherynne M. Valente, and Karen Joy Fowler, to name a few. The article 8 Tips For Creating Great Stories From George R.R. Martin, Junot Diaz, And Other Top Storytellers can be found on Fast Create.